As soon as the Delete button is clicked, an automated process is initiated that immediately makes your Hotjar data unavailable to the users that were associated to the account. For more information, check out our Data Retention Policy. 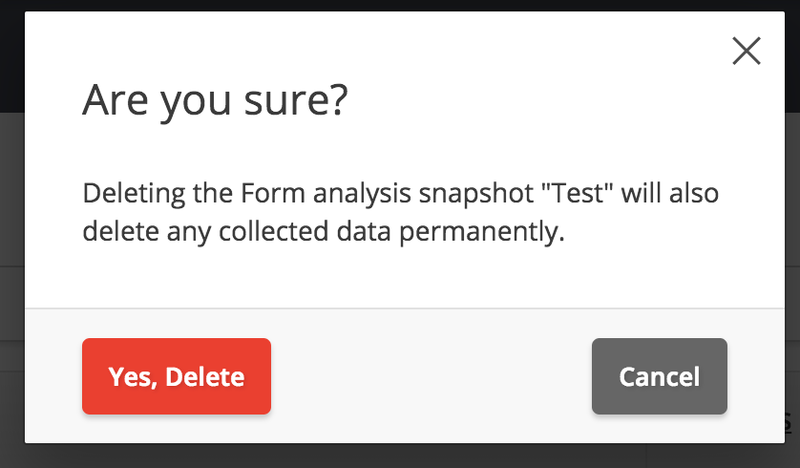 Select Delete in the drop-down menu of the Form you'd like to delete. Click Yes, Delete to confirm deletion. Only users with Read & Write access and higher will be able to delete Forms.